Potassium is a mineral essential for the proper function of all the cells, tissues, and organs in your body. Potassium gluconate is one of several types of potassium supplements available to help prevent or treat low potassium levels, a condition known as hypokalemia. Potassium gluconate comes in tablet and liquid forms. This essential mineral aids in heart function and both voluntary and involuntary muscle contraction. In most cases, a healthy diet provides sufficient potassium, but diarrhea and vomiting, excessive sodium use, and digestive malabsorption syndromes, such as Crohn's disease, can interfere with your body's ability to absorb enough potassium to meet your daily needs. When this occurs, a host of problems, such as weakness and muscle cramps, can result. Consult your doctor before taking potassium gluconate. Take potassium gluconate with food, or just after eating. If you are taking potassium gluconate tablets, you should swallow them whole with an 8 oz. glass of water. Sucking or chewing on potassium gluconate tablets can cause irritation in your mouth and throat. Drugs.com states that you should call your doctor if you feel that the tablet is stuck in your throat. Liquid potassium gluconate should be carefully measured out, using a dose-specific measuring device, then mixed with water or juice prior to drinking. Potassium can interact with heart medication and should not be taken unless under the supervision of a health care provider. Side effects from taking potassium supplements include diarrhea, dyspepsia, nausea, muscle weakness, decreased heart rate and arrhythmia. Potassium supplements are off limits to those with hyperkalemia, or high potassium levels, as well as those with kidney disease. You should not take the antibiotics trimethoprim and sulfamethoxazole with potassium. You should take potassium gluconate exactly as prescribed by your doctor. Do not take it in larger amounts or for longer than recommended. Your need for potassium grows as you do. From birth to 6 months of age, the recommended daily intake for potassium is 500 mg. For ages 7 months to 1 year, the recommended intake is 700 mg. 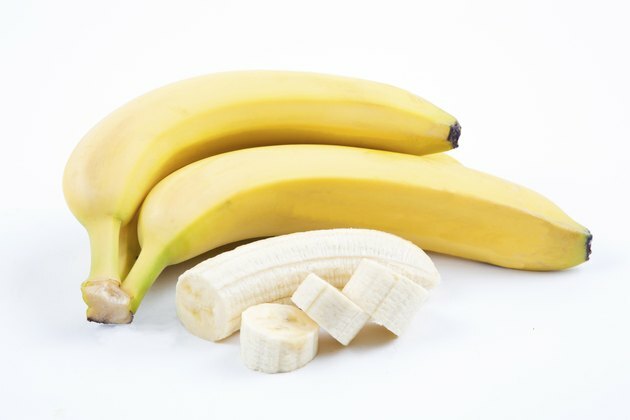 Between the ages of 1 and 2, the recommended intake is 1,000 mg. For ages 2 to 5, it's 1,400 mg, while from 6 to 9, it's 1,600 mg. From the age of 10 and older, the recommended daily intake for potassium is 2,000 mg.